It’s nearly time to get back on the dance floor at our annual Fundraising Event! 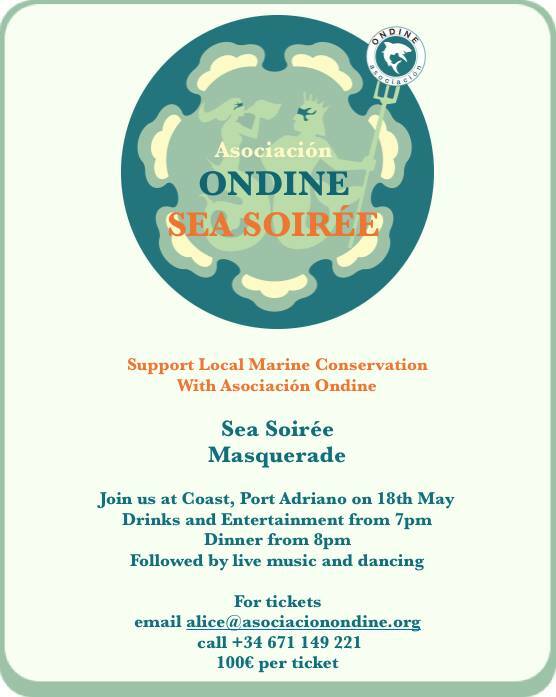 We would like to invite everyone to this year’s exclusive “Sea Soirée, Masquerade Night” that will be held on the 18th of May at Coast East in Port Adriano. Last year the bar was set high and the response was amazing! So this year it’s going to be even more spectacular with live music and entertainment throughout the evening, great prizes, amazing art, surprises from beginning to end and a nightclub finish all in aid of local Marine Conservation. With you’re amazing support, last year we managed to raise an incredible 17.000 euros, this year we’ve decided to challenge ourselves to collectively raise 20.000 euros for the beautiful Balearic Sea. A big thank you from the AO team! See you on the Dance Floor!